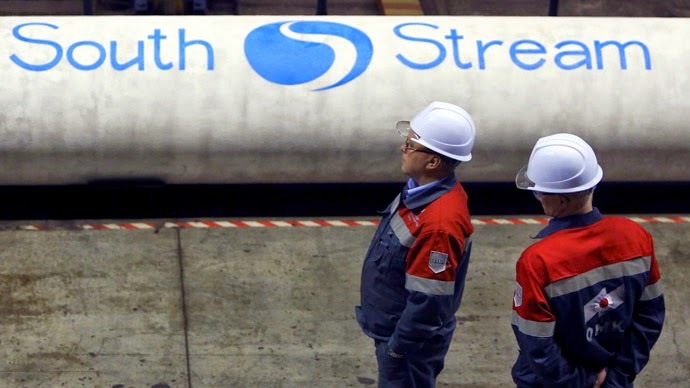 December 8, 2014 (F. William Engdahl - NEO) - South Stream, the $45 billion project to deliver Russian natural gas via underwater pipeline through the Black Sea to Bulgaria and on to other Balkan and southern European markets, is dead. Russian President Vladimir Putin made the death pronouncement on December 1, during a trip to Turkey to meet Turkish President, Recep Tayyip Erdogan. It has major geopolitical and economic consequences for the EU. The Russian President didn’t waste a minute to show how he plans that redirection. The real loser is not Russia, but the EU who managed yet again to shoot themselves in the foot by their buckling under to Washington pressure from Victoria Nuland’s State Department and the Obama Administration hawks. The South Stream would have provided secure delivery to southern EU countries including Bulgaria, Hungary, Austria, Italy, Croatia and also Serbia. It would avoid the current transit pipelines running through Ukraine. Similarly, to avoid a repeat of the US-induced Ukrainian disruptions of Russian gas to the EU in 2009, Russia and Germany agreed the construction of Nord Stream, also avoiding Ukraine. Now, by forcing Bulgaria, an EU member, to halt South Stream, using blackmail of a Bulgarian bank bailout last June, the EU has made itself dependent on gas security via Ukraine, a country the EU’s own political spinelessness has helped turn into a failed state ruled by a cabal of Brussels-and-Washington backed gangsters and oligarchs. We might use the term “stupid” to describe EU policy on South Stream, were it not for the fact at the end of the day Washington blackmail on the EU caused the South Stream blockage policy to be implemented, just as the economically devastating EU Russia sanctions were imposed only after extreme pressure on Berlin and Paris by Washington. Russia and Turkey have just signed an agreement to expand the existing Russian Blue Stream gas pipeline to Turkey by an immediate 3 billion cubic meters to the current 13.7 bcm of gas pumped to Turkey via Blue Stream, for a total near 17 bcm. Gazprom CEO Alexei Miller revealed that he has signed a memorandum of understanding on building a new Turkey-bound pipeline under the Black Sea, with capacity to pump 63 billion cubic meters to Turkey, about equal to the now-defunct SouthStream. If we follow the motion of his feet and not so much his mouth, Erdogan is above all a pragmatic political survivor. Internal conflict, above all with the CIA-linked Fetullah Gülen movement as I detail in Amerikas Heiliger Krieg, has increased distance between Erdogan and Washington despite Turkey’s NATO membership. Until now, Washington’s neo-conservatives Richard L. Morningstar, now Ambassador to Azerbijan, had relied on an obedient Turkey as an alternative to carry gas or oil from Azerbaijan independent of Russia. 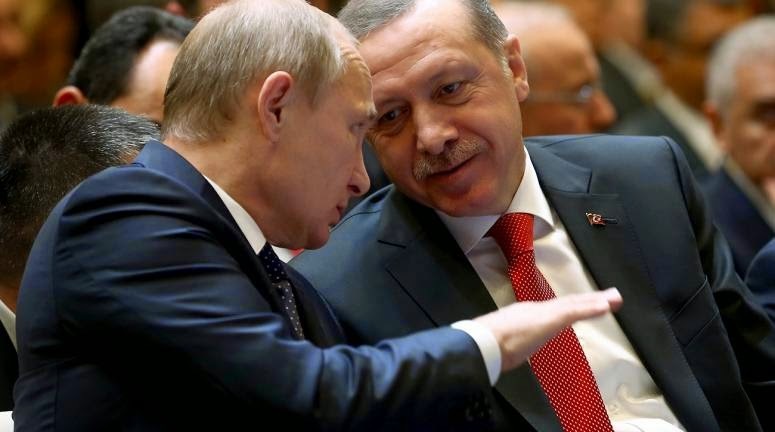 If Erdoğan accepts the Russian offer of forming an energy alliance, it would mark a sharp policy change for Turkey, a geopolitical shift of immense importance and Erdogan knows as much, even if he seems to have a confused idea of a clear strategy for Turkey. A Russian-Turkey energy hub on the Greek border would signal a decisive change of strategy by Erdogan. A significant hint of that was contained in the statement that the new gas supplies to Turkey from Russia will be paid in local currencies, not in the US dollar. Turkey already is Russia’s largest foreign gas customer after Germany. Erdogan has also asked to be accepted in the Shanghai Cooperation Organization led by Russia and China.